Hi everyone, I am back and hopefully will be back for good. Still have numb thumb? Yep, but it is holding the Copics, yep, so lets get going. 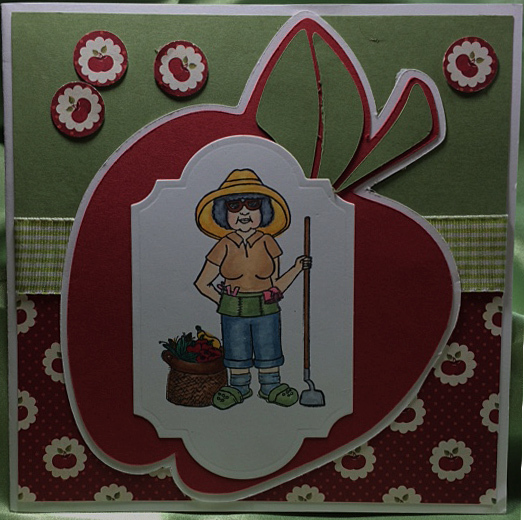 I am posting a card in the Challenge "Come and Get It" and Granny looks like she has been working hard. So lets get her posted so everyone can see that she must have taken good care of her garden. WOW! 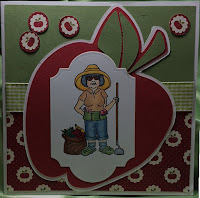 She has a bushel full. It has been a while since I have posted because we moved from one state to another and yes, it's been a year, but we are still finding scappin' stuff and I don't know where some of came from. Okay that's about it and I promise I will try to get more organized before I do anymore posting. Just had to get started back. OHHHHH!!!! 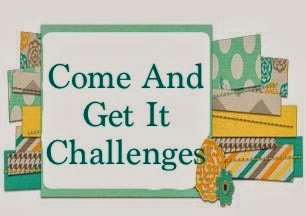 and if you join the challenge there's a prize waiting for you if you are the winner!!!! Okay, I am out of here.